The whole Lutheran world is absorbed this year in the 500th anniversary of the beginning of the Reformation, and much of the rest of the world is also taking note to a greater or lesser extent. 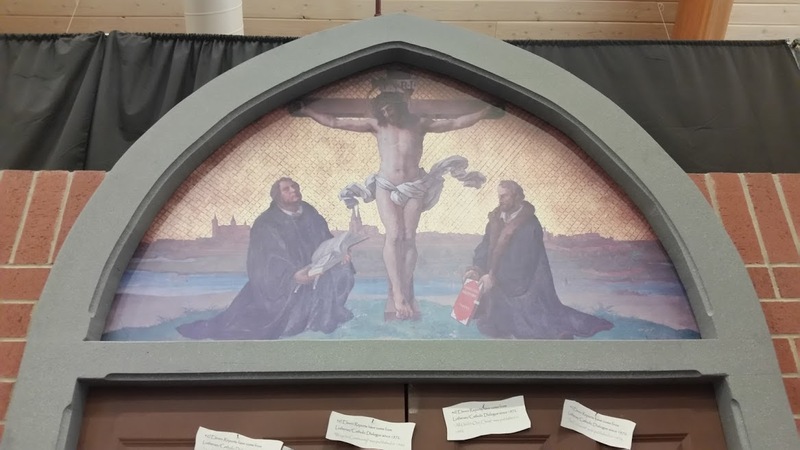 The editorial council of Let’s Talk is providing an opportunity, especially for the members and friends of the Metropolitan Chicago Synod of the ELCA, to reflect on what’s important about the Reformation to them. 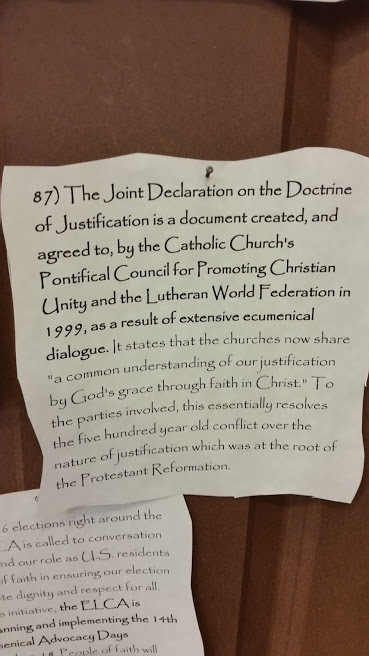 We propose to devote several issues of Let’s Talk to the Reformation Jubilee. In each issue we offer three different categories of articles to help stir the creative juices of church leaders and lay persons. 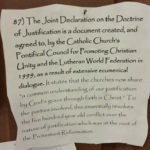 Articles that relate to the Reformation Jubilee but don’t fit these categories are also welcome. The Reformation begins with Martin Luther’s calls for reform of church and society. Luther is unquestionably the Great Reformer. We invite readers to respond to the question: what do you appreciate (or not appreciate) about Luther? There’s an obstacle, however. Luther, like many great historical figures, had clay feet, and this undoes the ability of some people to appreciate his genuine and enormous contributions to theology, Christian life, church practice, and social renewal. Frank Senn recently taught a graduate student who had difficulty giving a class presentation on Luther’s German Mass because she had read his anti-Semitic writings in another class. Is there a way to deal with this and other issues up front and head on? For this issue we invited a veteran professor of history with a sometime association with this journal, Dr. Gregory Singleton, to write an article precisely dealing with this problem of how to handle heroes with clay feet. Although he is not an expert on Luther or the Reformation (but not ignorant of this history either), he has experienced over forty years of teaching American history, frequently dealing with cultural icons who have fallen from their pedestals. Singleton’s “Martin Luther, the Peasants’ War, and Anti-Semitism: A Quincentennial Rumination,” provides an approach to dialogue on the hermeneutic of dealing with the whole Luther, who would be the first to claim that he was a sinner as well as a saint. Another article also deals with what some people regard as an unsavory part of Luther’s character. Robert Saler, who teaches in an interdenominational seminary in Indianapolis, points out how offended his colleagues are about the way Luther demonized his theological opponents. 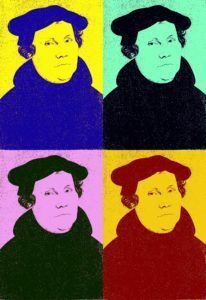 In answering the question “Why Did Luther Demonize His Opponents?” Saler draws us into traditions of how the church has sometimes regarded heresy as a moral failing. Luther’s own real belief that the Devil was at work in the contemporary church to undermine faith and doctrine, sometimes even among one’s friends, drew utterances from Luther were not unlike exorcisms. Two additional articles also deal with what could be regarded as unflattering aspects of Luther’s speech. These are characteristics many Lutherans chuckle over even though the pressure is strong not to emulate the Great Reformer in these ways. Francisco Herrera takes a look at the earthy remarks found especially, although not exclusively, in Luther’s Table Talk: the sheer earthiness and body-orientation of his language. Herrera proposes that this provocative speech was “More than Just Table Talk.” It was needed to provoke reform and renewal. Herrera sees parallels between Luther’s provocative talk and methods of the burgeoning #decolonizelutheranism movement. What began as a class project for Tyler Rasmussen, of ferreting out “Luther’s Insults” from his voluminous writings, and posting them on a blog, the Lutheran Insulter website, became an instance of internet celebrity. Overnight this site was getting tens of thousands of hits. Maybe Luther’s insults provide models for people today who are living in a highly contentious culture, but Luther said things about people that we wouldn’t dare say today—and he said it print! The trick, Rasmussen proposes, is to show how Luther used insults to draw people from error into truth. Anna Marie Johnson appreciates the more positive aspect of Luther’s career in his pastoral writings. Luther wrote innumerable tracts laying out an agenda for the reform of the Christian life. His proposals were often based on the Ten Commandments. Discouraging the more ostentatious good works, like going on a pilgrimage, Luther gave guidance to ordinary Christians on helping their needy neighbors. We invite readers to submit articles for our forthcoming Reformation Jubilee issues on what they appreciate or don’t appreciate about Luther. The Let’s Talk editorial council established a second category of articles: in which writers indulge in their favorite Reformation figures, documents, or ideas. We need to be reminded that there were precursors to the 16th century Reformation. Benjamin Dueholm writes about the 14th century Lollards who anticipated many later Protestant ideas. The Lollards were hunted down and suppressed by kings and church hierarchy in England, yet they made a profound contribution to the development of the English language in their Bible translation (from the Latin Vulgate) and other writings. Theodor Dunkelgrün writes on the humanist Hebrew scholar Johann Reuchlin. What would Reformation Bible translation and scholarship have been without Reuchlin’s critical edition of the Hebrew Bible and Erasmus’ critical edition of the Greek New Testament? Neither Reuchlin nor Erasmus left the Catholic Church, but their work was essential to the work of the Protestant reformers. Frank Senn writes about another humanist, the Swedish King Johan III, who pursued ecumenical relationships between the Lutheran Reformation and the papacy. His “high church” inclinations are evident in an evangelical catholic Liturgy he prepared for the Church of Sweden. It was promulgated in 1576, although not without anti-liturgy antagonism from the theologians. Episcopal rector Pamela Dolan tells of acquiring the 1549 Book of Common Prayer when she was a Roman Catholic and what the Prayer Book has meant to her over the years. 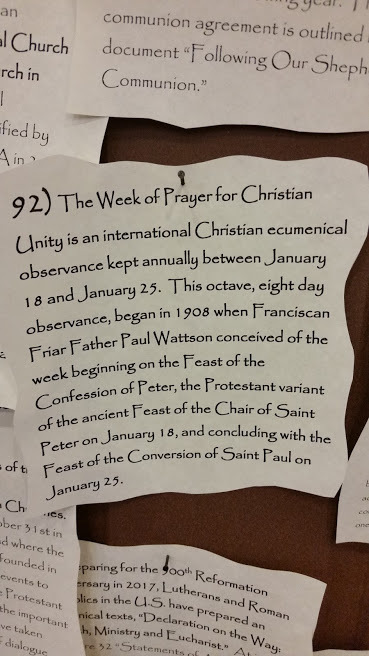 Yes, The Book of Common Prayer is a Reformation liturgical book. It reflects the enduring editorial and translation skills of Archbishop Thomas Cranmer. We invite readers to submit brief articles about a favorite Reformation figure, document, or idea. Kathrine von Bora Luther? Philip Melancthon? John Calvin? The Formula of Concord? The Heidelberg Catechism? Justification by faith? Write and we will grant you an indulgence. 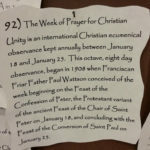 A number of activities and programs are occurring in synod congregations or in ecumenical clusters. We would like to spread the word about what is happening in and through our synod. We include in this issue of Let’s Talk two reports. 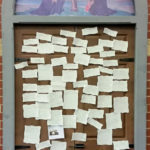 Dawn Mass Eck reports on the Castle Church Door project at Messiah Lutheran Church in Wauconda and how unity and reconciliation among local churches led to them jointly dealing with the challenges of chronic homelessness in Lake County. Pastors Betty Landis (St. Paul’s Lutheran Church, Evanston) and Joseph Tito (St. Nicholas Catholic Church, Evanston) report on how four ELCA congregations and four Catholic parishes in Evanston, plus Lutheran and Catholic campus ministries at Northwestern University, entered into dialogue that resulted in ambitious programs of joint study with guest presenters, joint worship, and joint social action. Both of these activities were a response to the ELCA’s Reformation 500 initiative. If your congregation is engaged in a special commemorative activity within the parish or with other churches, please send us a report. We continue to solicit articles for the three sections of the Let’s Talk Reformation Jubilee issue. Added to the “Appreciating Luther” category is Frank C. Senn’s article on “Martin Luther’s Sacramentality and His Attention to the Human Body.” He writes about how he came early in life to an appreciation of Luther’s defense of the real presence of Christ in the bread and wine. Asking for an indulgence, Kurt Hendel informs us about the important work of Johannes Bugenhagen, the pastor of the Reformation who was responsible for the church orders that reformed church life in the territories of northern Germany and the Kingdom of Denmark. Benjamin Dueholm offers an indulgence on the Heidelberg Disputation and Luther’s theology of the cross as his great contribution to the theological enterprise. Cantor Michael Costello informs us of the special music and worship opportunities at Grace Lutheran Church in River Forest in celebration of the 500th anniversary of the Reformation. Keep the articles coming. What do you appreciate about Luther? What would you like to share about some other Reformation figure, document, idea, or event? What is your church doing to celebrate the Reformation anniversary. We hope to have another batch of articles after October 31. 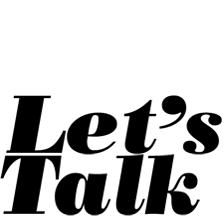 We received three final articles for this special issue of Let’s Talk, one in each of our three categories. Shane Brinegar, a PhD student at LSTC, appreciates Luther both for his critique of the late medieval sacrifice of the mass and for his positive re-conception of a true eucharistic sacrifice. This is a helpful article that sorts out many misconceptions Lutherans have about the Eucharistic sacrifice. Frank Senn asks for an indulgence to write about the great Reformation artist and friend of Luther, Lucas Cranach the Elder. 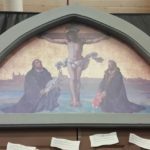 In his article Senn reviews Cranach’s career in the service of the Saxon electors and his contribution in promoting Christian faith and devotion in his many paintings and woodcuts. Senn includes a gallery illustrative of Cranach’s art. Finally, Frederick Schumacher writes about the Reformation celebration medallion created by the American Lutheran Publicity Bureau and gives us an interesting history of the Lutheran-Catholic medal wars down through the centuries, which has hopefully come to an end in the joint Lutheran-Catholic observances of this Reformation Jubilee 500 celebrated by the new ALPB medallion. We hope readers have enjoyed the many different views of Luther and the Reformation brought together in this expanded issue of Let’s Talk. We also hope that the Jubilee 500 is a commencement of the continuing work of reconciliation and reformation and not the end of it now that the anniversary is past. Ecclesia semper reformanda.